How many journals do I really need? | Thinking is the enemy. How many journals do I really need? Yeah, I’ve got spiral-bound notebooks too. I have too many journals. Some are filled with half-baked ideas, others with notes for this or that project, and many more with some journal entries or what Julia Cameron calls morning pages. I’ve got journals in fancy books with Italian leather covers, journals in Moleskine notebooks, and journals in cheapo composition books. And they have thoroughly infiltrated my house. I’ve got them boxed up in the attic, stuffed in dresser drawers, stacked on my desk, and living in my messenger bag. In short, I have a journal problem. Lately, though, I’ve been feeling a strong urge to get rid of all the useless crap that I own. I think part of this has something to do with wanting to be more focused and intentional in my life, and part of it has something to do with the appalling amounts of junk I’ve seen in recent years left behind by dead family members. There may also have been an episode or two of Hoarders. One for morning pages, free writing, diary, journal — whatever you want to call it. This one goes into the recycling when it’s full. One for what I think of as an actual writing journal — a place where I jot down stray ideas. This is something I like to flip through when I’m feeling stuck or blocked. So four journals isn’t too bad, right? And it’s a vast improvement on how many I’ve got now. Which I won’t tell you — for fear of ending up on Hoarders. This entry was posted in Writing and tagged journaling, journals, julia cameron, Moleskine notebooks, notebooks, organization, writing. Bookmark the permalink. 2 Responses to How many journals do I really need? Nice post, Chris. And you even managed to mention one of my favorite shows–Hoarders, which I watch obsessively (wait, isn’t that another show?). 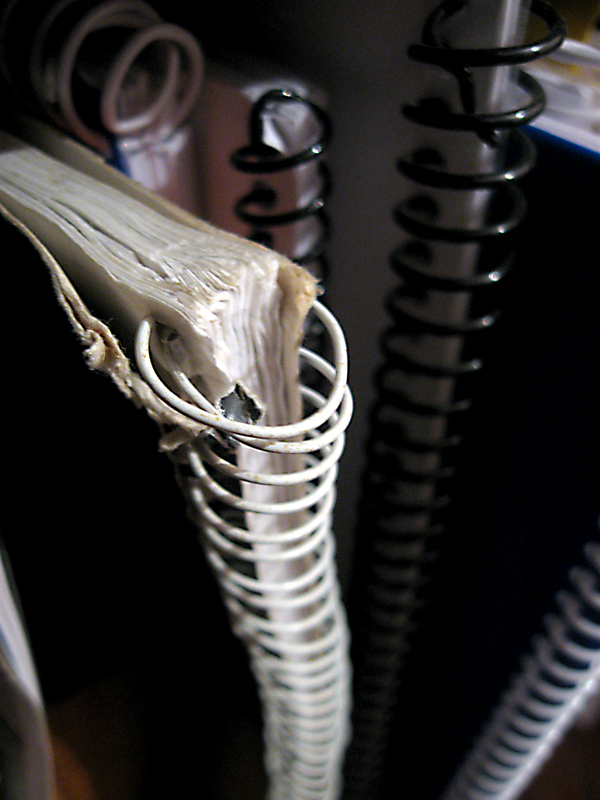 My only fear in tossing all the journals would be that you may want them at some point in the future. Also, there might be some ideas for stories and books to be culled from all that writing. I hate to come across as an enabler, but I would hesitate before recycling.